Finding a quality bead blast cabinet is not as easy as you might think, especially in today’s disposable world where machines are being manufactured in China, to the poorest standards in the industry. If you’ve been searching for a bead blast cabinet that will stand the test of time- one that is made in the USA from the highest quality materials, shop Badboy Blasters. Take a look at Badboy’s BB2000LED model that features an amazing 96” x 29” work area, giving you plenty of space to work on just about any thing you could possible want or need to. The BB2000 offers complete side access through doors located on both ends of the cabinet, so you won’t have to fumble around to get parts in or out of the unit. Perhaps best of all, this bead blast cabinet has twin hand valve controlled blasting guns that require no trigger to be squeezed, so it is easy on the hands. With the BB2000LED bead blast cabinet, your blasting needs are answered- at an affordable cost you’re absolutely going to love. 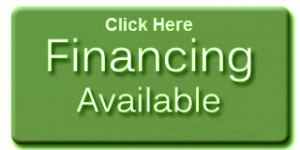 This unit can be financed at just $82 per month, so you can offer blasting service without a huge upfront investment. - And many others as well! Badboy Blasters also sells hydraulic driven tables, parts washer, blasting media and abrasives, compressors, accessories, replacement parts, dental and jewelry blasters, and so much more, you’ll have to see the complete line for yourself. If you have questions, feel free to contact an expert by calling 330-454-2699. Visit BadboyBlasters.com to watch videos of the cabinets in use and get a better idea which product would be right for your projects or contact tech at 330-413-5262. You’ll be glad you invested in a high quality bead blast cabinet that was made in the USA instead of a sub-par product that will let you down.